Water is our most valuable natural resource that nearly everyone takes for granted. Most of our water comes from wells drilled deeply into a rock aquifer. Supply does not always meet the demand especially during dry spells in hot summer months. 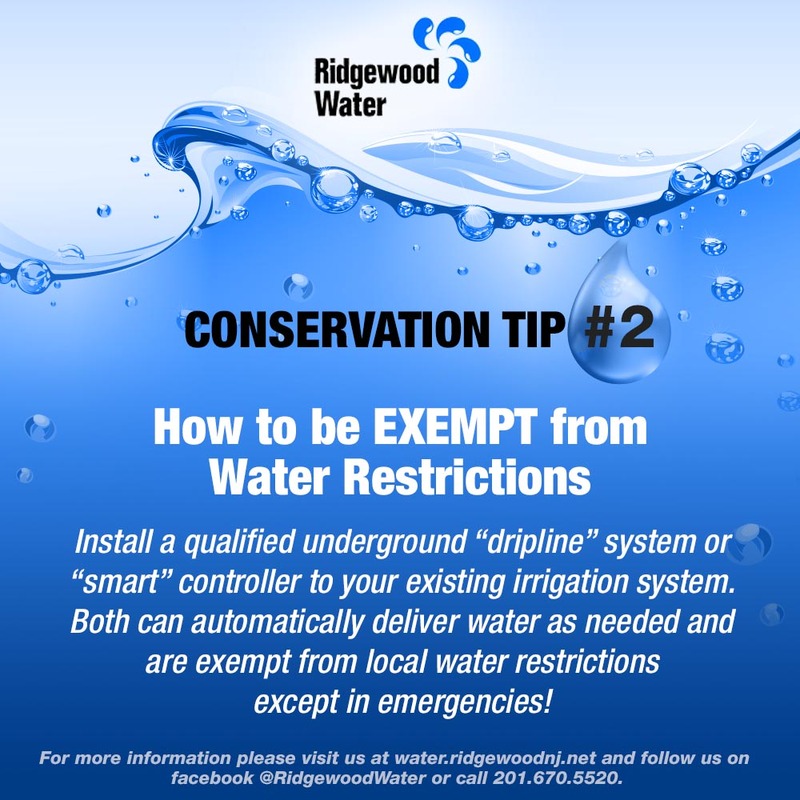 Ridgewood Water purchases additional water supply from Suez Water New Jersey and the Hawthorne Water Department but these additional sources are also limited. 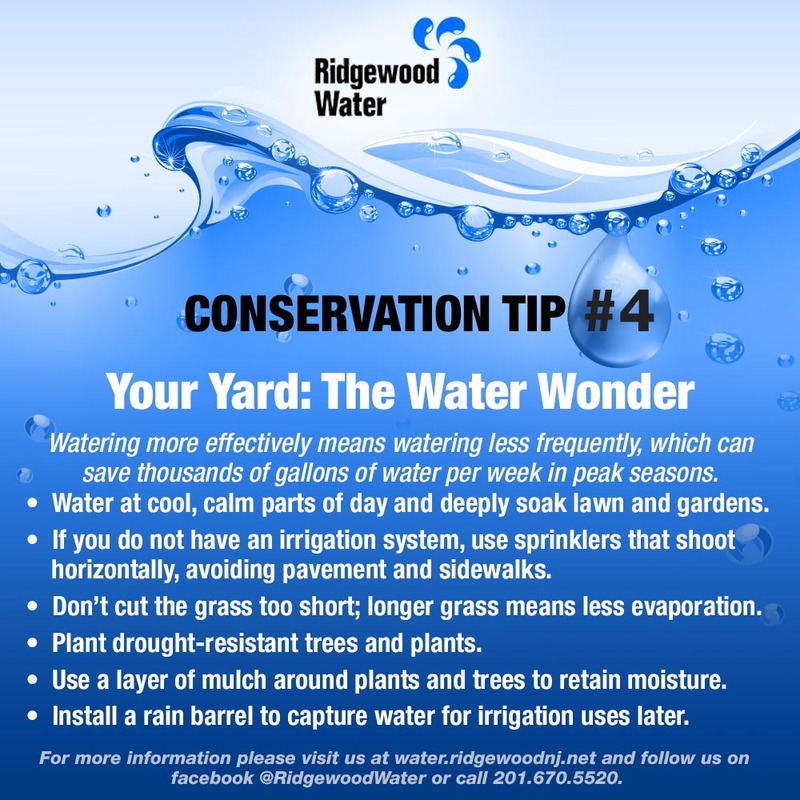 Consequently, there are water restrictions on outdoor water use. 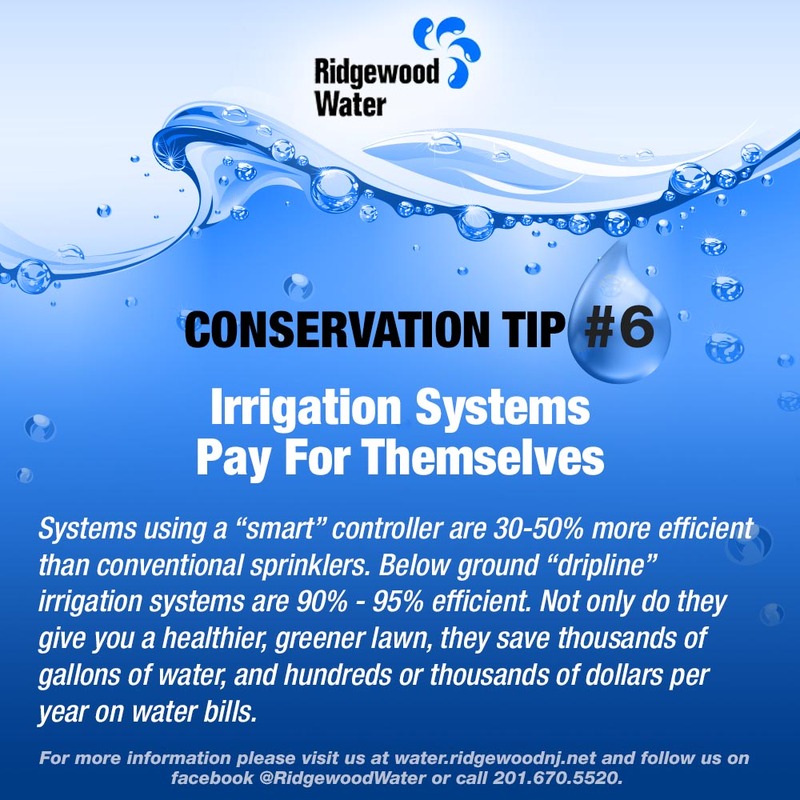 View our water saving tips for ways you can help to conserve water as well as to reduce your water bills. Residents are reminded to periodically inspect their homes for leaks to avoid waste and unnecessarily high water bills.